NOLA Paddleboards' mission is to bring together the community in a fun, active, and eco-friendly way. We created The NOLA Paddleboard Club to make sure this happens on a regular basis! 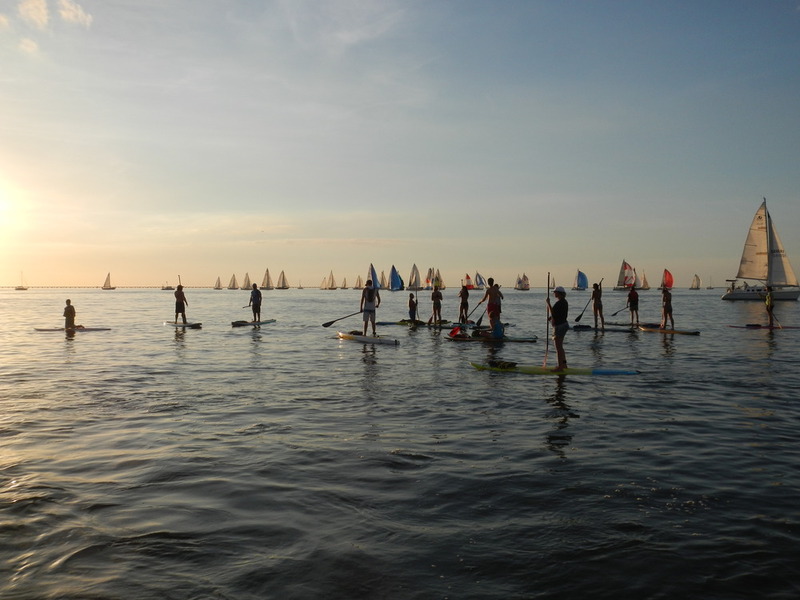 Information on our Wednesday evening paddles which are held April - September on Lake Pontchartrain (Yes. We use the seawall to launch). Members are updated on meeting location, time, conditions, and cancellations through text message each Wednesday (launch time is between 6pm and 7pm depending on sunset time). Want to sign up? Please use our "Contact" page and let us know some general information such as your paddle experience, the type of paddleboard you have, and the first Wednesday group paddle you would like to attend. - Members of the Club must bring out a coast guard approved lifejacket, plus ankle leash, and also accept that they are paddling with the club at his or her own risk.